Mr. Elkins and James McMahon, Jr. This is a picture of the inside of a store in Oakdale, Louisiana. Picture taken about 1914. 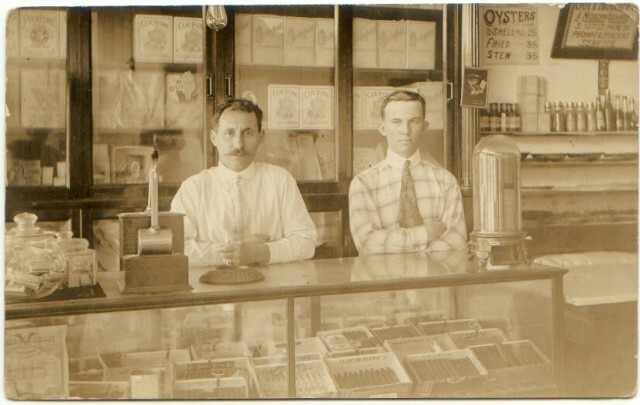 The names of the men are (Left-Right): Mr. Elkins and James McMahon Jr.
James McMahon's parents were James McMahon and Samantha Duplissey McMahon. The McMahon family is buried in Oakdale Cemetery in Oakdale, Louisiana.